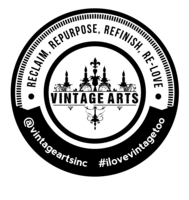 ​VINTAGE FOR THE ARTS is an annual event organized by Vintage Arts to benefit the local art community. This year, we have partnered with the Mandarin Community Club to raise funds for the 50th Annual Mandarin Art Festival. 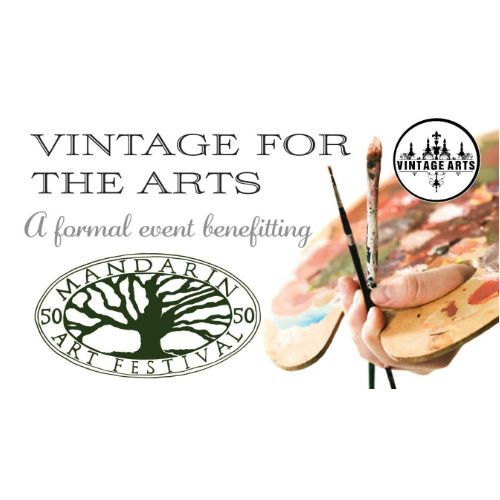 VINTAGE FOR THE ARTS is a formal evening featuring live music, cocktails, canapés, and a silent auction. Proceeds from ticket sales, the silent auction, as well as 10% of boutique sales with be donated directly to the Mandarin Art Festival. About the MANDARIN ART FESTIVAL: The Mandarin Art Festival celebrates its 50th anniversary in 2018, bringing together more than 100 local and national artist exhibitors for this annual Easter weekend event, which also features food vendors, children’s activities, live musical entertainment, a Children’s Art Show, historic tours, a Green Market featuring locally-produced consumables and more. Established in 1968, the Mandarin Art Festival is the longest running event of its kind in Northeast Florida.